Play during your opponent's turn before characters are committed to stories. Action: Choose a story card in play. 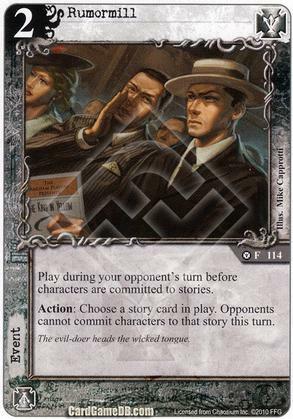 Opponents cannot commit characters to that story this turn. Flavor Text: The evil-doer heads the wicked tongue.